We offer window and gutter cleaning services to the Western Suburbs of Chicago. We pride ourselves in offering affordable, convenient and courteous home services. We might be a little biased, but there is nothing better than crystal clear clean windows! Not only does it make the outside of your home more attractive, but it truly enhances the atmosphere of the interior of your home by allowing a clear view of the outdoors, as well as letting extra sunlight in. If your windows are looking dirty and dull, give us a call for a free estimate! 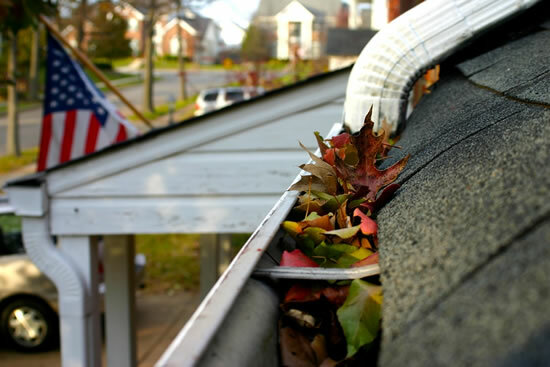 The trees and foliage around your home may be beautiful, but they wreak havoc on a vital aspect of your home, your gutters! When clogged gutters back up and can cause severe damage to your walls, roof, foundation, interior or even surrounding concrete or structures. 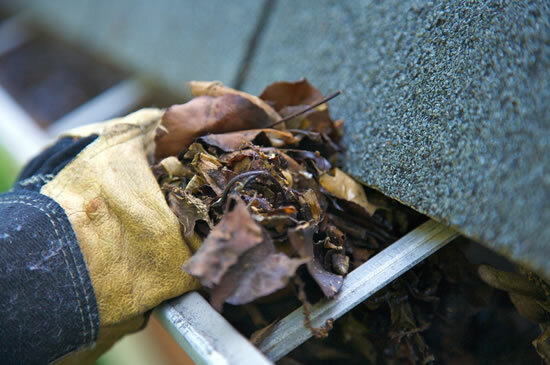 Whats more, cleaning your gutters can be inconvenient and even downright dangerous! Leave the ladder in the garage and let us clean your gutters for you! Failure to clean your gutters can cause severe damage to roofs, walls, basements foundations as well as countless others aspects of your home. Water pooling incorrectly in a driveway or lawn can also create numerous and costly problems. Gutters play a vital role in making sure water goes where it needs to go, and simply have to remain clean to function properly. How do gutters get clogged so easily? Gutters get clogged by trees and other sources of foliage. Throughout the spring summer and fall, trees and other vegetation can cause gutters to become clogged by leaves, seeds, branches or flowers. Although the magnificent trees that line your home are a welcome addition to your home’s look and feel, they do need to be cleaned up after. Why is window and gutter cleaning so dangerous? Window and gutter cleaning can be dangerous if you don’t have the right tools, know how, or physical ability to climb ladders and scale roofs. Do it yourselfers take on serious risk if they don’t abide by strict best practices when taking on the heights most of our gutters are at. A fall from a ladder or roof is not something to be trifled with. We have the know-how and the tools to get the job done safely. What are gutter ice dams? Ice dams occur when water freezes inside your home’s gutters. 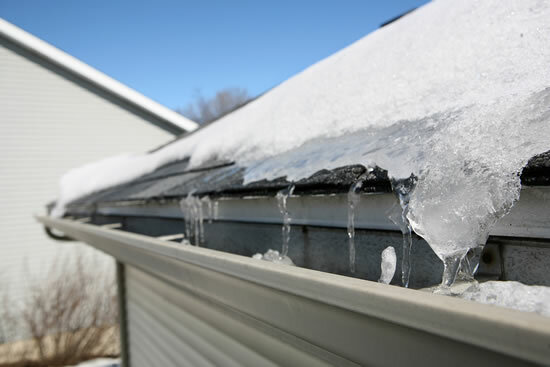 These blocks of frozen ice prevent gutters from performing properly, and can cause serious damage to your home. Come spring thaw, melting snow and ice cannot flow properly, and can damage roofs, walls, siding, brick, foundations as well as cause flooding indoors. How to detect ice dams on your Chicago area roof? Taking notice of an ice dam can be difficult. Unfortunately, most ice dams are detected at spring thaw. Water is unable to move freely through your gutter system, and backs up. If this happens, the ice dam must be removed immediately to avoid further damage. The best way to detect an ice dam in advance, is to observe the conditions that cause ice dams. Were your gutters properly cleaned prior to freezing temperatures? Is it possible any water was trapped in gutters because of gutter pitch issues? Take these causes into account to determine if there might be a problem. We service the Western Suburbs of Chicago. Need our help and not sure if we service your area? Just give us a call! Relying on years of experience and professional tools, we safely and quickly clean your windows and gutters so you can rest easy. Give us a call today for a free estimate! We look forward to helping you keep your windows and gutters clean!